A bright clear day saw the first major event for the Club’s 2019 season, The Seniors Spring Meeting. 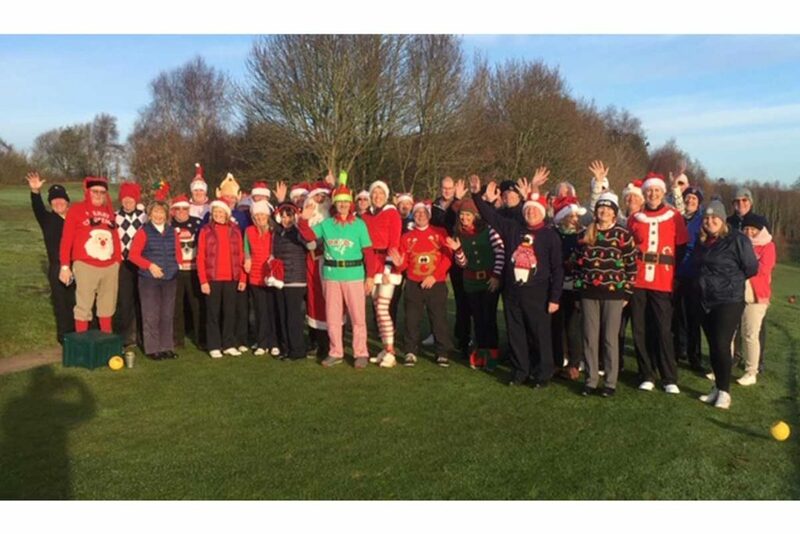 40 senior golfers, all over 55, (allegedly) battled it out from the 8.30 shotgun start. All went well, around the course,(at least we did not have to call on any emergency services! ), and most members were back at the clubhouse, enjoying the recently refurbished patio by 1 pm. They were joined by non-playing seniors John Cooper, Trevor Forrest, Derek Evans, and Ron Jackman, lunch was served at 2 pm, with grace by the de-frocked Geoff Hull. 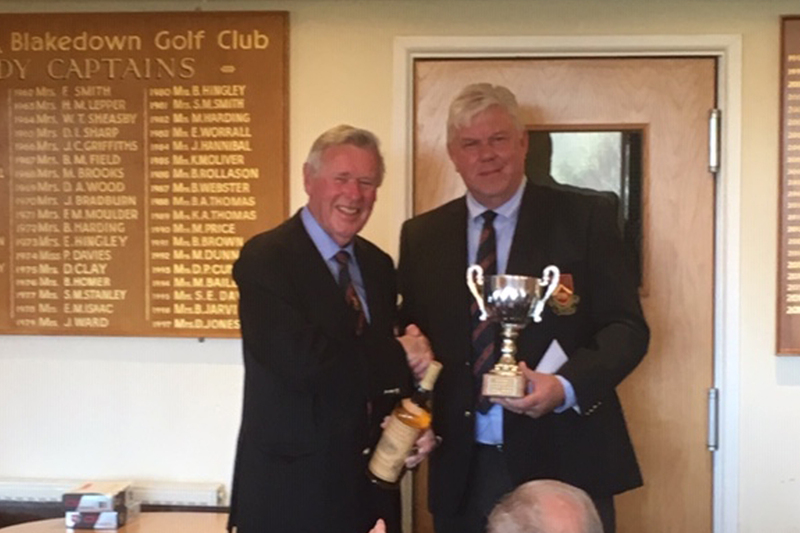 The Seniors’ Captain Ted Rayment gave a short speech and invited Club Captain Gary Williams to present the prizes. 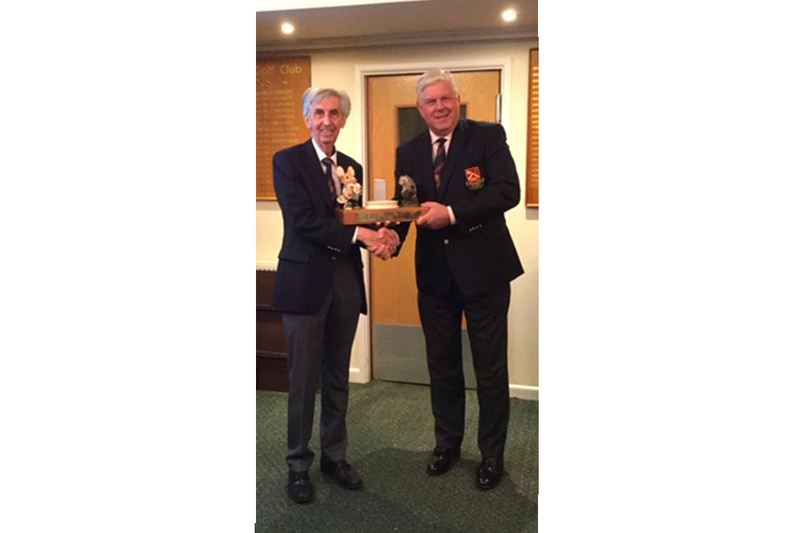 Honorary President Chris Palin was awarded the wooden spoon for the lowest score of the day. 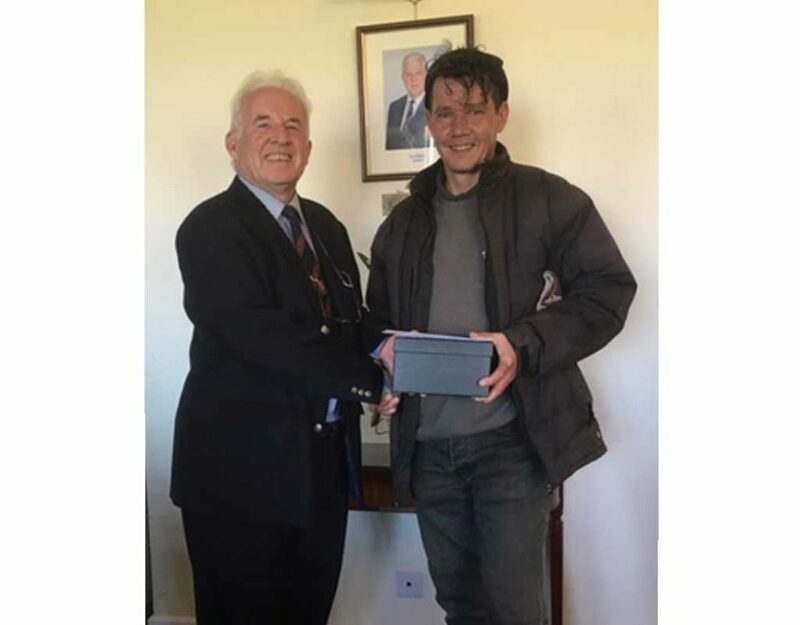 There were several 2s and nearest the pins before 3rd prize was awarded to John Cox with 37 points, second prize went to Dave Blackwell with 38 points, and embarrassingly enough, Captain Gary Williams won with 41 points. When interviewed he said, “I have a strange thing when playing golf, I call it the AB syndrome. When Gary A turns up I play like I played today but when Gary B turns up I play like the Honorary President Chris Palin!!! 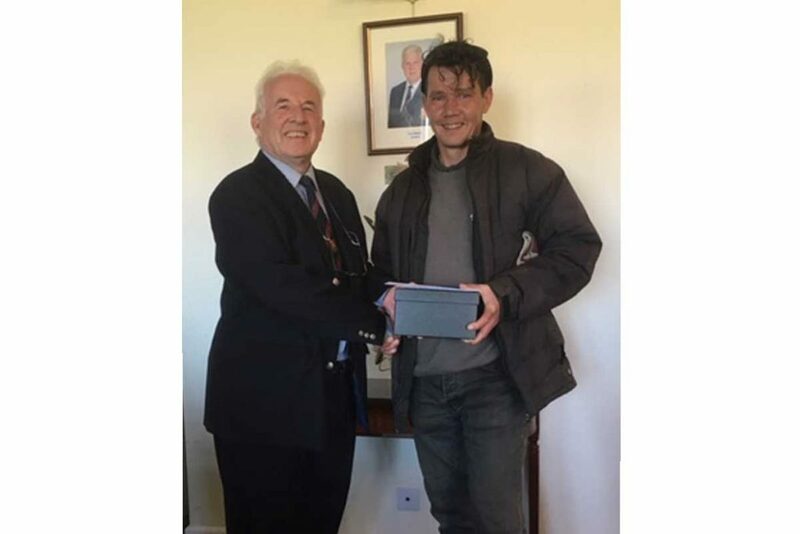 The Captain kindly donated the bottle of malt he won back to the Seniors for their next event.